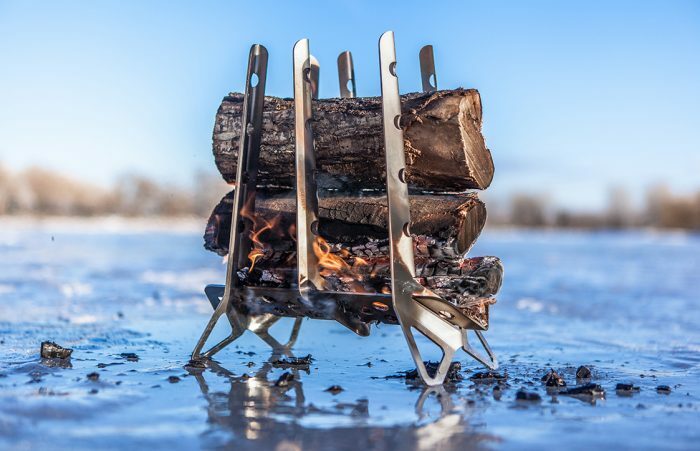 So that’s your boring old campfire, eh? Nice tipi-fire build, brah. But check out this here FIREWALL! OK, in all seriousness, the old-fashioned campfire is just fine in most situations. 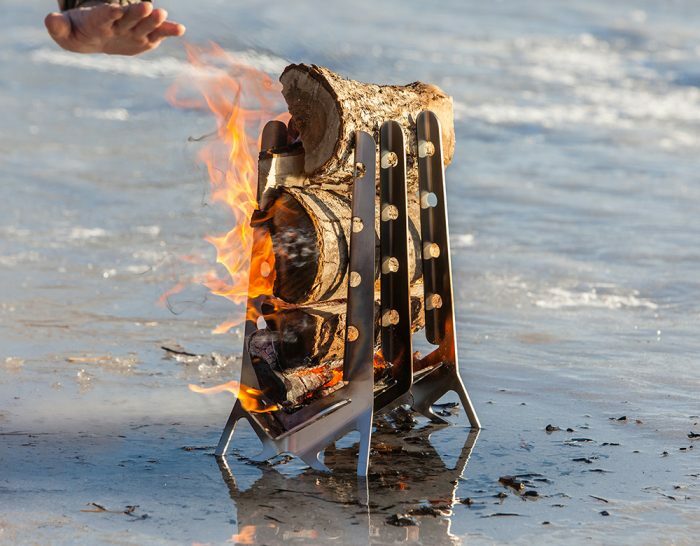 But a Canadian company just launched a new contraption called a Firewaall. It’s pretty neat. The made-in-Canada apparatus simply holds wood in a wall-like form. 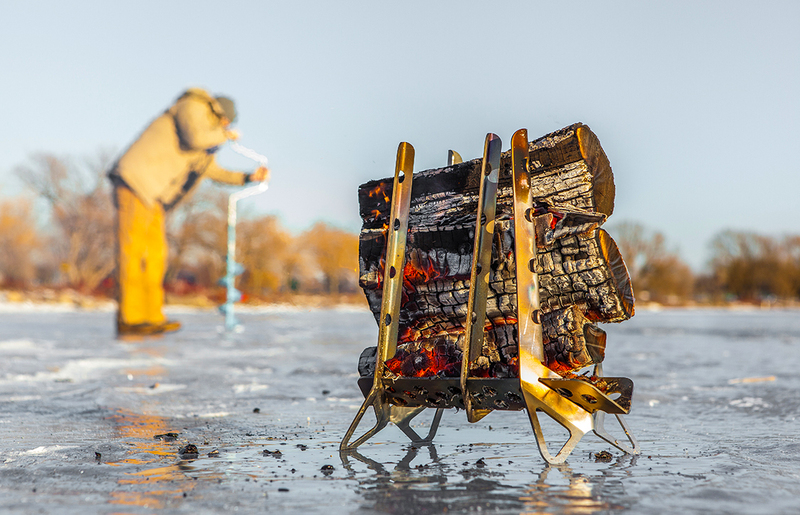 Start the fire with tinder in the bottom, add some larger sticks, and enjoy a vertical blaze. What’s the point? Good question. First, the Firewaall contains fire in a way that looks pretty efficient. The vertical nature of the wall helps it radiate heat outward. It elevates fire too, which would be nice on a frozen lake. It also feeds by gravity, and is really open to the air, which should result in cleaner burning than wood lying on the ground. The video below spells it out nicely, so take a gander. It’s made of 3/32″ laser cut, folded stainless steel. The entire contraption weighs 4.5 pounds, and is 13 inches wide by 13.5 inches tall. The company touts “movability” as one of the selling points. While I’ve not often had the desire to move a campfire, I could see it as a bonus for ice fishing (the fish are biting over THERE!) or a campsite when winds shift direction. Interested? The brand just launched in Canada, and the Firewaall will be sold in the USA and Japan in a few days. It costs $107 Canadian, about $80 USD. 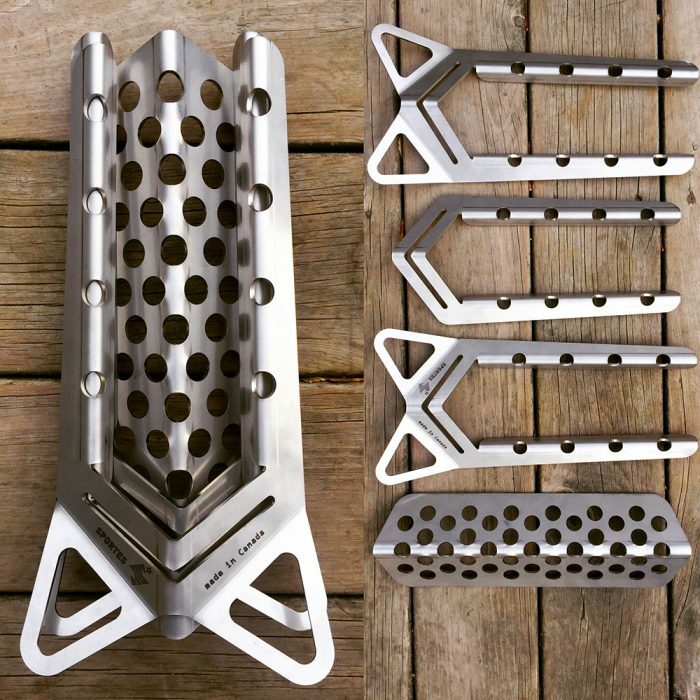 Check one out of you’re ready to elevate your campfire game.